Turkey pre-orders begin on November 1st. You’ll find order sheets at the front end of the store at the customer service counter. You’ll see one sign-up sheet for local turkeys from Stonewood Farm and another sheet for certified organic turkeys from Diestel Family Ranch. You can also give us a call and place your pre-order by phone. We will continue to take turkey orders through Sunday, November 18th. If you miss our pre-order deadline, it’s still very likely that we’ll be able to accommodate your needs, but pre-order is your best guarantee. Stonewood turkeys will range in size from around 14 lbs to over 30 lbs. When you place your order, you’ll have the opportunity to specify what size turkey you’d like. We’ll aim to get you a turkey within 3-5 lbs of your requested size. Organic turkeys from Diestel Family Ranch will all be about the same size (around 14 lbs). 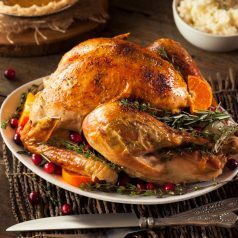 Wondering how much turkey to buy to accommodate your guest list? A handy rule of thumb is 1.5 pounds of turkey per guest. And note that it’s always better to have too much than too little – especially during the holidays when leftovers are key to feeding out-of-town guests throughout the week. All turkeys will be fresh (not previously frozen). The Co-op Kitchen will be cooking up a mouth-watering array of side dishes for your holiday table. The same pre-order and pick-up schedules apply. We will have a limited supply of these items, so be sure to pre-order to guarantee that we’ll have what you need. Your order may be placed by phone or in person at the customer service counter. If you miss the pre-order deadline, please check with any Deli staff member to see if your request can be accommodated. Click HERE to see the full list of offerings. Turkey and side dish pick-up will begin on Monday, November 19th and end on Wednesday, November 21st. When you come to pick up your pre-ordered turkey and sides, please follow the signs the holiday pick-up station located in our meat department and a staff member will be waiting to assist you! Questions? Give us a call at (802) 388-7276 or ask any staff member next time you’re in the store! Considering our Board of Directors Elections Processes – Can We Improve? In September, three members of MNFC’s Board of Directors, Lyn Dunton, Kate Gridley, and Ann LaFiandra, attended a Neighboring Food Co-op Association (NFCA) peer gathering in White River Junction, VT. Folks, mostly directors and a few staff, from the following coops across New England attended: Brattleboro Food Co-op (VT), Buffalo Mountain Co-op (VT), City Market/Onion River Co-op (VT), Co-op Food Stores (NH), Fiddleheads Food Co-op (CT),Franklin Community Co-op (MA), Greenstar Co-op Market (NY), High Falls Food Co-op (NY), Hunger Mountain Food Co-op (VT), Littleton Food Co-op (NH), Middlebury Natural Foods Co-op (VT), Monadnock Food Co-op (MA), Neighboring Food Co-ops (MA), Portland Food Co-op (ME), Putney Food Co-op (VT), River Valley Food Co-op (MA), Rutland Area Food Co-op (VT), Springfield Co-op (VT), Stone Valley Community Market (VT), Upper Valley Food Co-op (VT) and Willimantic Food Co-op (CT). Our topics of the day were: Member Engagement Strategies, Successful Board Recruitment and Retention Strategies, and The Challenges and Rewards of Diversity and Inclusion. MNFC stands alone in not only having a fully filled Board of Directors, but every year for the past several election cycles, we have had 7 – 10 outstanding candidates run for the scheduled open slots (terms at MNFC are three years, and with an 11- member board, 3 or 4 terms are up in each election cycle). To our amazement, we learned that there are co-ops whose boards are not fully staffed, and there are election cycles in which there are no candidates! We also learned that many co-ops have embraced electronic voting – which has upped the percentage of members who participate in voting –and many co-ops have looked hard at their election processes. What does it mean to be a board member? What kinds of decisions does the board make, what is the time commitment? Who is NOT running for our board? Why not? What are the barriers to running for the board? How can we best orient future candidates so that they understand the job they are running for? Facing a large slate of candidates, what will help our member-owners make decisions when casting their votes? 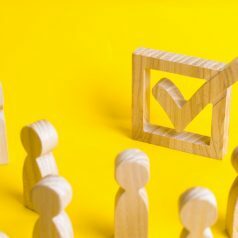 How do our member-owners know if a candidate is qualified? How can we best present the slate of candidates? Should we sponsor a Meet the Candidates Mixer? How can we enhance the voting process to ensure more member-owner participation? I want to remind our member-owners that our Board of Directors meetings, 6:30 – 8:30 on the fourth Wednesday of every month, are open to you. We want our processes to be transparent and we want to know what you are hearing and what you are thinking. Member-Owner: this is a beautiful word. MNFC is owned by you, it’s members. And the work of the Board, using Policy Governance (which is simply an operating system), is to act and make decisions on behalf of and in the best interest of the member-owners. Perhaps this work interests you? Please let us know! To reach out to the board, contact us at board@middlebury.coop. 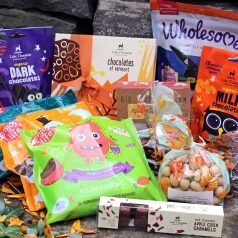 Looking for some healthy alternatives to candy this Halloween? Check these out! 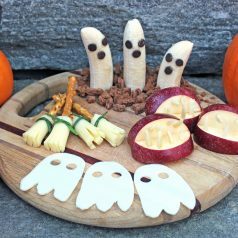 They’re simple to make and so much fun to eat that the kiddos might not even notice the missing candy! Peel and slice bananas in half. Push chocolate chips or carob chips into place for eyes and mouths. Crumble chocolate cookies or Grahams onto a plate, then place the boonanas. We used Jovial Einkorn Cocoa Cookies and thought they were particularly delicious. Quarter an apple and remove the core. Flip each quarter upside down and slice a V-shaped valley for the mouth. Insert slivered almonds for the teeth. Another fun option is to use nut butter “drool”. Create a stack of sliced cheese. We used Andrew & Everett’s Provolone. Use a paring knife or cookie cutter to carve out a ghost shape. Use a marker cap to punch out the eyes. Slice a mozzarella string cheese stick into thirds. Use a paring knife to slice broom fringe into the bottom half of each segment, then poke a pretzel stick into the top half of each segment and tie a chive around the top. 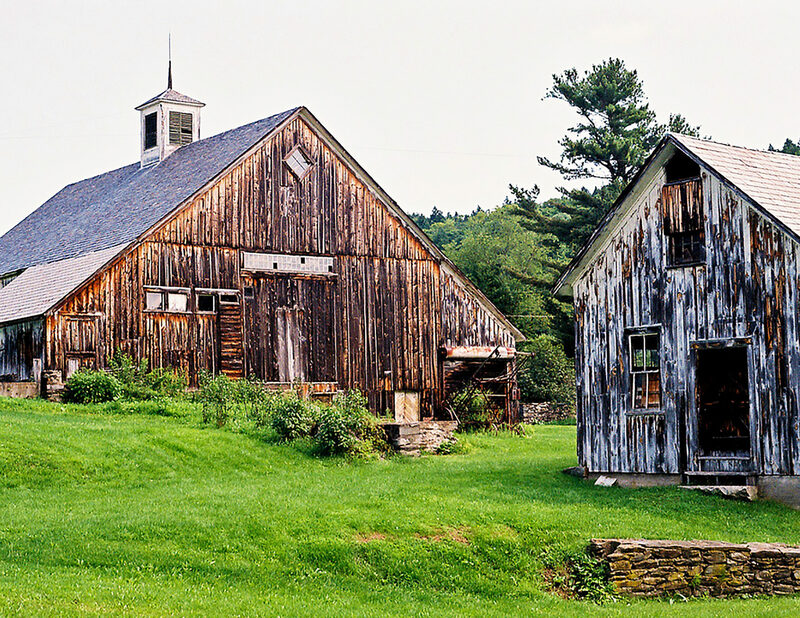 Scott Farm Orchard is a 571-acre gem located in the rolling hills of Dummerston, VT. The orchard is home to over 120 varieties of heirloom and unusual apples. The farm itself is something of an heirloom, settled in 1791 by Rufus Scott. The orchards were planted in 1915, and in 1995 Scott Farm was gifted to the non-profit historic preservation organization Landmark Trust USA. 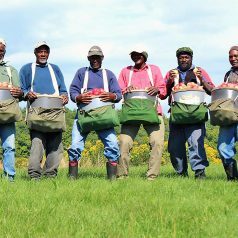 The renowned apple maestro, Ezekiel “Zeke” Goodband, took over the management of the orchard in 2001. 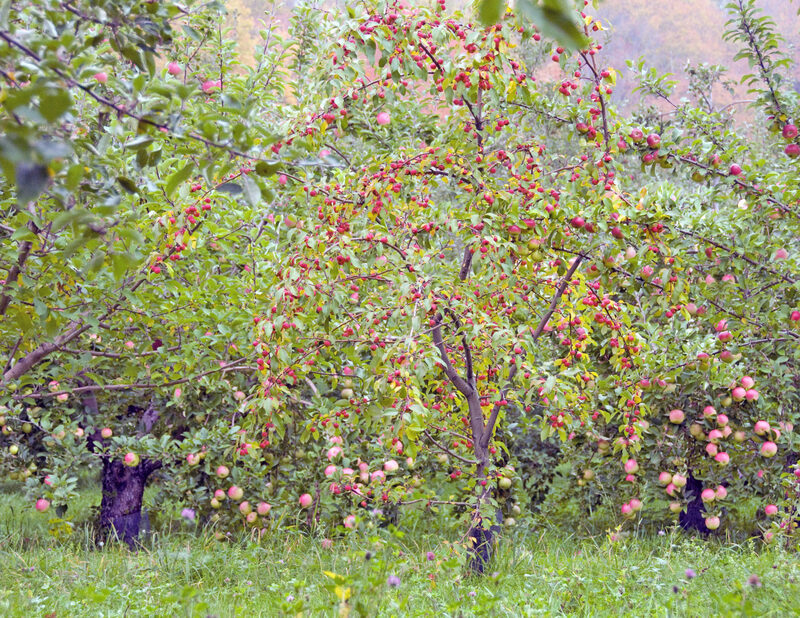 His search for old varieties has taken him to abandoned orchards throughout New England and as far as Kazakhstan, the birthplace of apples. A long time ago, Zeke learned that the less he sprayed the orchard, the less he had to spray. Zeke’s formal educational training was in the field of ecology and he realized early in his orcharding career that if he respected the orchard as an ecosystem there were fewer “pest” problems. Their goal at Scott Farm has been to enhance the biodiversity of the orchard ecosystem – the more complex the ecosystem, the more stable it becomes, minimizing the potential for significant pest explosions. They have moved beyond organic into what they refer to as ecologically grown fruit. Scott Farm produces 120 varieties of ecologically grown apples – with beautifully poetic names such as Roxbury Russet, Belle de Boskoop, and Cox’s Orange Pippin, along with unusual apples like Winter Banana and Hidden Rose. Other fine fruits grown at the orchard include gooseberries, medlars, quince, raspberries, blueberries, grapes, pears, plums, and peaches. The apples and quince can be found at the Co-op, and the remaining fruits are sold directly through the orchard’s Farm Market which is open every day at 707 Kipling Road, Dummerston, Vermont from Labor Day to the day before Thanksgiving. 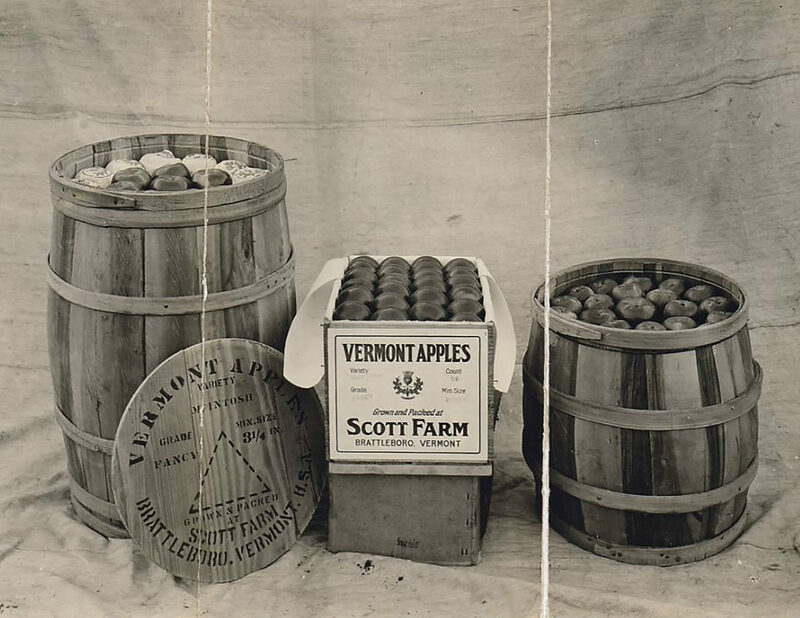 Over 75% of the Scott Farm crop stays in Vermont! 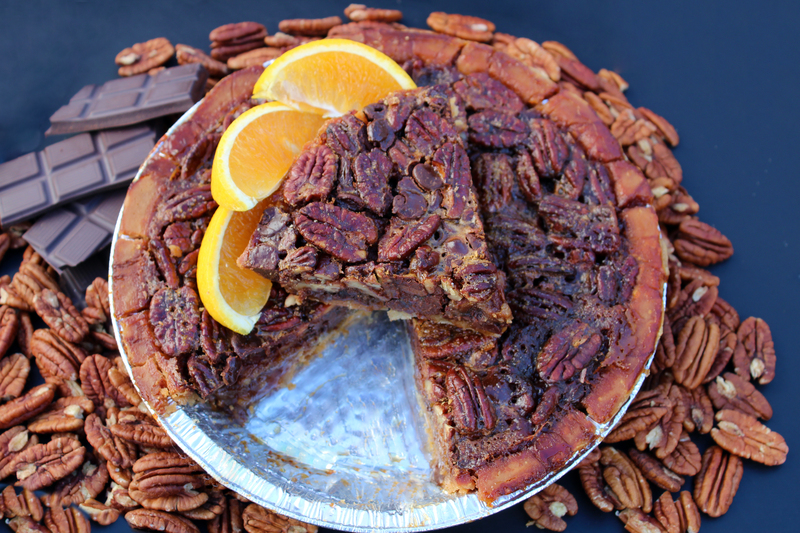 Visit their web page to learn more, and don’t miss these fantastic recipes! The topic of waste reduction is common fodder at the Co-op – after all, one of our Ends (the reasons we exist as a cooperative) is to promote environmentally sustainable and energy efficient practices. It’s something we’re always working on and there’s always room for improvement. 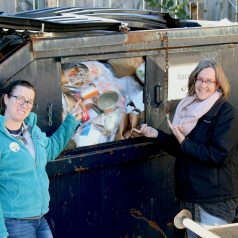 With this in mind, interested staff members at the Co-op began meeting monthly to discuss ways that our Co-op could improve our practices to move closer to a zero-waste operation. We realized during these gatherings that we have a lot of collective passion on the topic and many of us come from backgrounds that help inform the ideas we bring to these meetings. Take Gwen Lyons, for example. You might know Gwen as a cashier at the Co-op, but you may not know that she holds a degree in Environmental Studies from UVM and her previous job was with the Central Vermont Waste District. She’s a glorified, self-proclaimed Trash Nerd. And she’s got a lot to share with us about what happens (or doesn’t happen) to items when we dispose of them. We wanted to share some of this with our Co-op community so we asked Kathy Comstock, who you may also recognize as a cashier, to interview Gwen. We’ll be sharing the interview with you in two parts. Kathy: Hi Gwen. 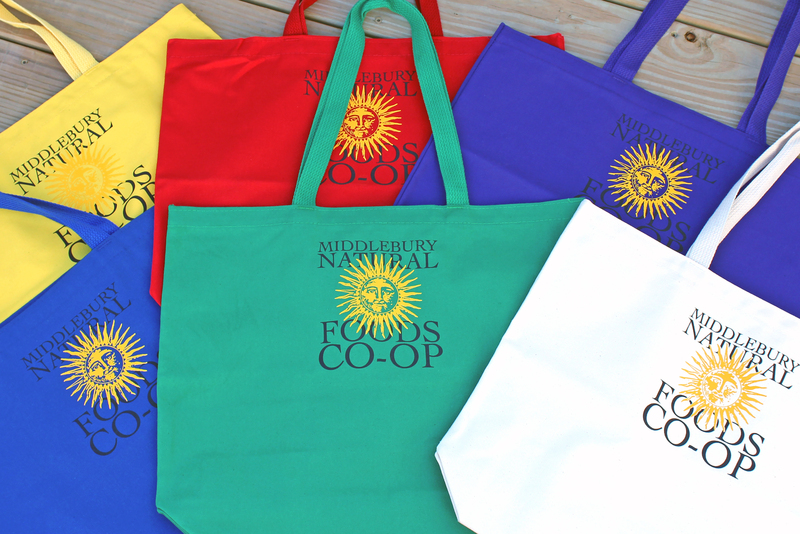 So, let’s start with why you and I are talking… We have both been noticing the use of plastics and the confusion of how to properly deal with waste at the Coop. As I have been getting to know you better, I have discovered that you served as the School Program Manager in Washington County. Montpelier specifically right? What exactly did you do? Gwen: Yes, I worked for Central Vermont Solid Waste District from 2009-2014, which is not to be confused with Chittenden Solid Waste or Casella. Despite our offices being located in Montpelier, the district covered 19 member towns in Washington, Orange and Caledonia counties. My involvement with the organization started when I applied for a “Compost Monitor” position. 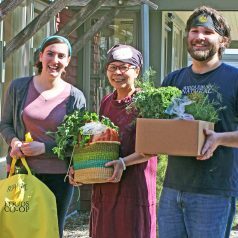 Although it was only part-time (and not having any idea what a compost monitor was), I was excited to get back into the environmental field after graduating from UVM with a bachelor’s degree in Environmental Studies. I was fortunate to move up in the organization and eventually gained the title of School Program Manager. Considering that I enjoyed working with kids, being outside, getting my hands dirty (no pun intended), this position was perfect for me. Kathy: Great! Let’s talk about trash or “solid waste”. It seems that it should be such a simple concept to understand, and yet I find myself confused at least once a day about how I should best “throw away” a particular package or food container. 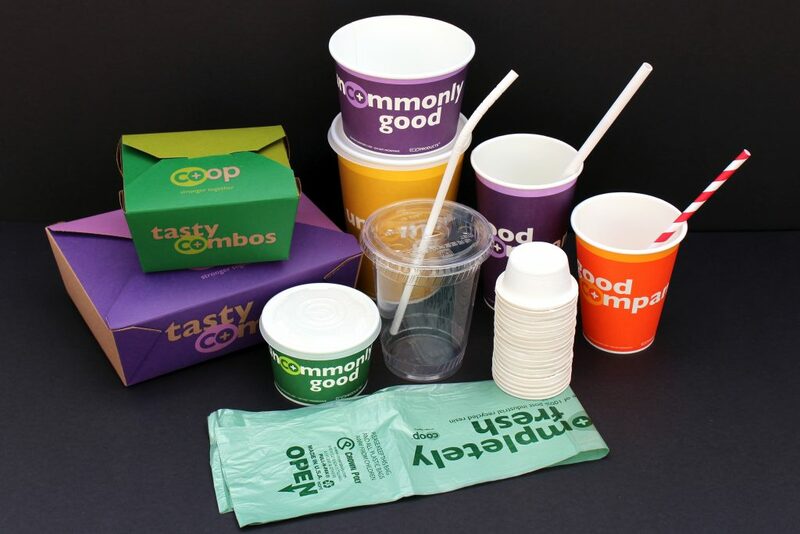 For example, it seems that I should be able to recycle the Co-op’s to-go boxes when I am finished with my food. But I have recently been told that first I need to wash it out so that it is clean of food debris, and NOW I have found out that it is actually coated in plastic (in order to be leak-proof), and that makes it a non-contender as a recyclable item! What gives? Gwen: You’re right, it should be simple and yet, it’s more confusing than ever. But, there are many things that factor in when it comes to “what goes where’. It is a process which can be easy, but we (consumers) need to be more diligent about what we are choosing to do in terms of purchasing and disposing. Kathy: So let’s go straight to the compostable vs. recyclable debate. Tell me what the pros and cons are for each issue. Gwen: First, I love the concept of compostable food containers, but manufacturers put the cart before the horse. They created these products, which in theory are awesome, but in reality, are causing more waste because there isn’t necessarily a system in place to deal with them. More specifically, compostable containers (utensils, to-go boxes, even food scraps) can’t be “composted” in a household system because there is (usually) not an adequate enough aerobic decomposition opportunity once they are put in the compost pile. 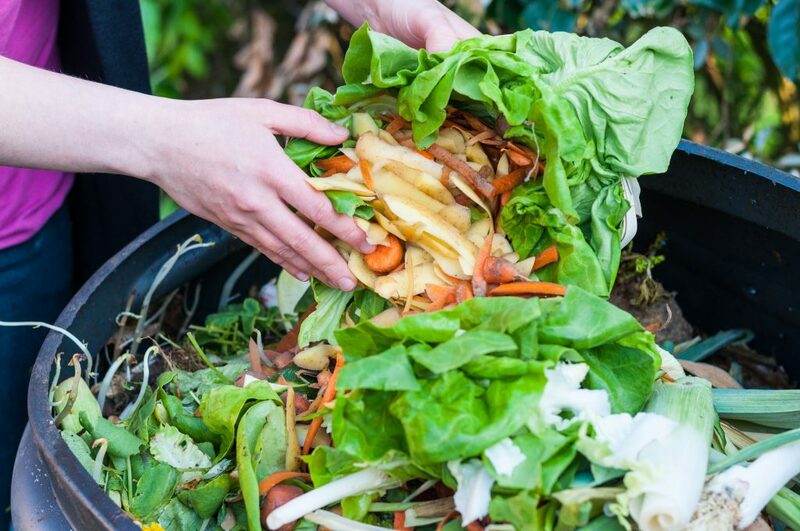 Meaning, home composting systems are too small, and don’t have enough microbes to generate the oxygen and heat necessary for those containers to break down. What you end up with is household compost with forks and Co-op salad boxes mixed within it. 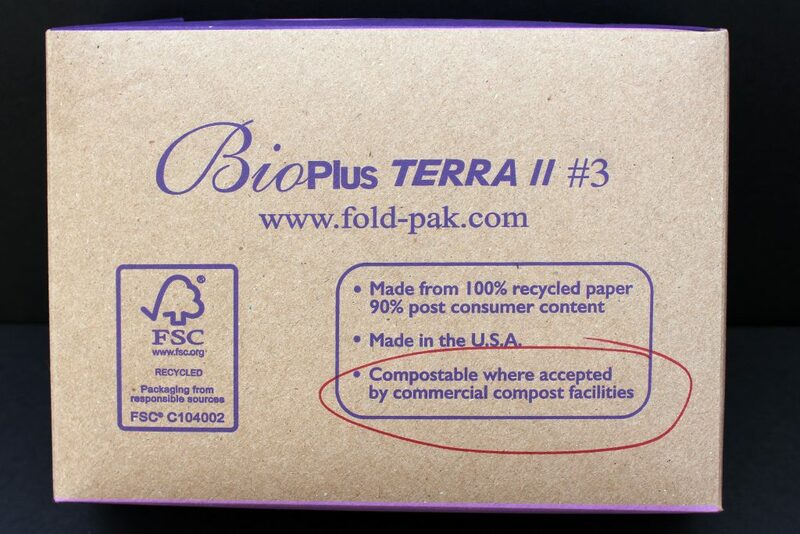 Secondly, there are not enough commercial composting operations which will accept compostable utensils and containers. Some of this has to do with the end product the facility is trying to supply to the public. 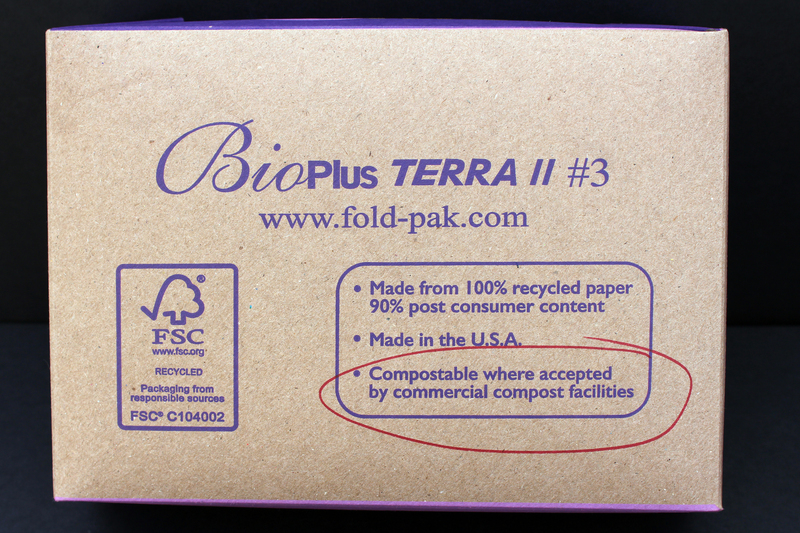 If a compost-producing facility is invested in creating certified organic composting matter, then it cannot accept these forks and to-go boxes, for example, because they are not made out of organic materials. So, although compostable plates, cups, utensils and to-go containers are a great idea, this idea falls flat, and just becomes more landfill waste, since we don’t have the right infrastructure to support the disposal of them. Kathy: …. And what about recyclables? Gwen: Without being able to properly compost the compostables, recyclable materials seem to be the next best thing. Who doesn’t want to think that by putting their yogurt container in a recycling bin, they have helped to not only stop production of one more new container but that they have also taken one more container away from the landfill? The problem with our current recycling system is that recyclables are not necessarily being disposed of properly. Back to the yogurt container, and any food container for that matter, … it needs to be rinsed out before being tossed in the blue bin. 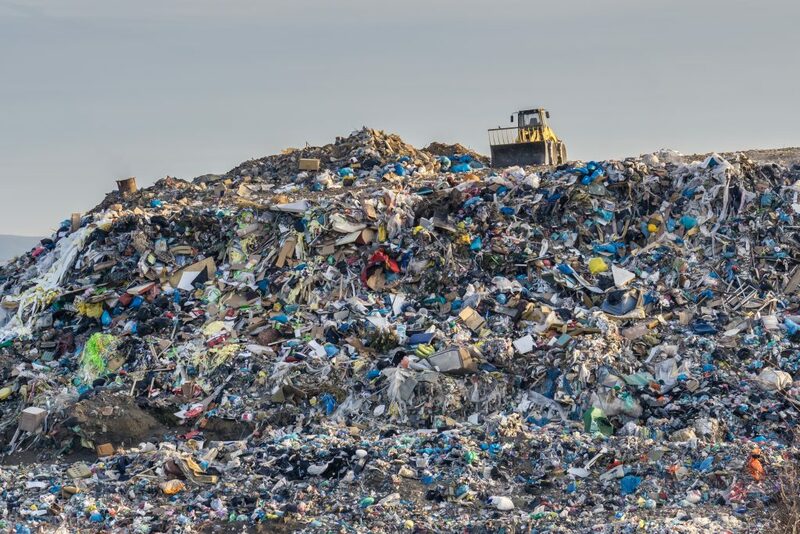 Not rising out containers or putting items in the bin that the recycling facility (MRF) cannot accept can, what we call in the business, “contaminate” a load of recycling. Every load of recycling inevitably has some contamination – but the buyer of the materials can easily “reject” a load of recyclables. And guess what happens to that load? It goes straight to the landfill. This issue has become more prevalent since the on-set of “single stream” recycling (which is the term used when all paper fibers, plastics, metals, and other containers are mixed together in just one bin.) When Vermonters were sorting their recycling, the stream was much cleaner and more recyclables were actually going where they should. The idea behind “single-stream” recycling was that it would make participation easier for the everyday person. The give and take, though, is that waste haulers and workers at the MRF are seeing an increasingly “dirty” stream of recycling. For Vermonters, it is important to understand what can and cannot go into the blue bin. If I am not mistaken, waste haulers, like Casella or Myers, provide customers with a list of what can and can’t be recycled. These days, the recycling facility in South Burlington does accept plastic numbers 1-7. But, they do not accept Styrofoam – even though it usually has a recycling symbol on it – which is confusing to people. In terms of its weight, it is not cost effective to pack up and ship Styrofoam, even compacted, to a facility that can recycle it. And, even if a transfer station did chose to collect and send any category of the recyclables out, would they have a large enough holding container to store the load as they collected an adequate amount in order to ship it? Another factor has to do with the market. If there is not a market (no one to buy) for a specific material, it won’t be collected for recycling, plain and simple. Another issue is the fact that certain materials are being “down-cycled” rather than recycled. Glass, for example, is not being remade into new glass bottles. Any glass recycled, in a blue bin, in the state of Vermont is being crushed and used as aggregate for road construction. If you ever notice the road “sparking”, well, that’s glass. Unfortunately, some of the newly built roads that glass is being used for are in/on the landfill. So – although it is getting a new life, it’s not actually being recycled. I don’t know the exact reasoning behind this, my guess is that there isn’t a smelting plant close enough to our area. Kathy: Seriously?! So I am driving on crushed glass? Now if that isn’t ironic, I don’t know what is. But back to the question of separating solid waste. First, tell me more about your work. What was the scope of your job? How did it come into being? Gwen: Central Vermont Solid Waste Management District is a government non-profit, meaning it is tax-payer funded and governed by representatives from our 19 member towns (although I believe that the district has gained more towns recently). Solid waste falls under the Department of Environmental Conservation in Agency of Natural Resources in the state of Vermont. So we were beholden not only to our member towns but also by rules and regulations set forth by the state. I worked for the district at an exciting time for solid waste, as it was prior to the passing of the Universal Recycling Law. Although I wasn’t closely involved, I did learn a lot about the legislative process of how laws are developed and how important it was for the state to collaborate and get input from the solid waste districts. My job consisted of helping maintain and manage the composting program in all 26 of our member town schools (K-12), developing and teaching students about composting, recycling, landfills and the concept of zero waste. Through hands-on activities in the classroom, full school-wide waste stream audits, and field trips to local commercial composting facilities, landfill and MRF (Materials Recycling Facility), students were able to gain an understanding of why it’s important to think before throwing something “away”. Although I gained the nick-name “Compost Lady” and periodically was asked if I “sorted trash every day”, I was able to see the impact of my work when I would visit schools and see the creation of their student-based “Green Teams”, or teachers incorporating recycling initiatives into their curriculum, and especially in the general reduction in what was being thrown away. It wasn’t glamorous, to say the least, but I loved it. One of the highlights of my tenure at CVSWMD was helping create, what we called, the School Zero Waste Grant Program. This program allowed schools to apply for funding to help their school reduce waste. Many schools took advantage and purchased reusable dishware and utensils for their cafeterias. Obviously, this greatly reduced the amount of trash that was created daily and was an easy way for students to impact the waste stream at their schools. Other schools used grant funds to purchase water bottle filling stations (like the one at the Coop). This encouraged students to bring their own water bottles and re-fill them. Main Street Middle School in Montpelier was a leading participant in the school zero waste programming. One of the middle school “teams” went as far as incorporating composting, recycling and zero waste into the curriculum. With them, I led waste stream audits twice a year, helping them to start collecting odd items that could be recycled (outside the bin), as well as getting other zero waste initiatives off the ground. The MSMS Green Team also applied for grant money to purchase enough reusable water bottles, with their self-designed logo, to give to every student in the school. This way, everyone could take part in reducing waste. This is one of the many examples of work I was able to do with students in the grand effort to move towards total Zero Waste. Kathy: That sounds incredibly rewarding! 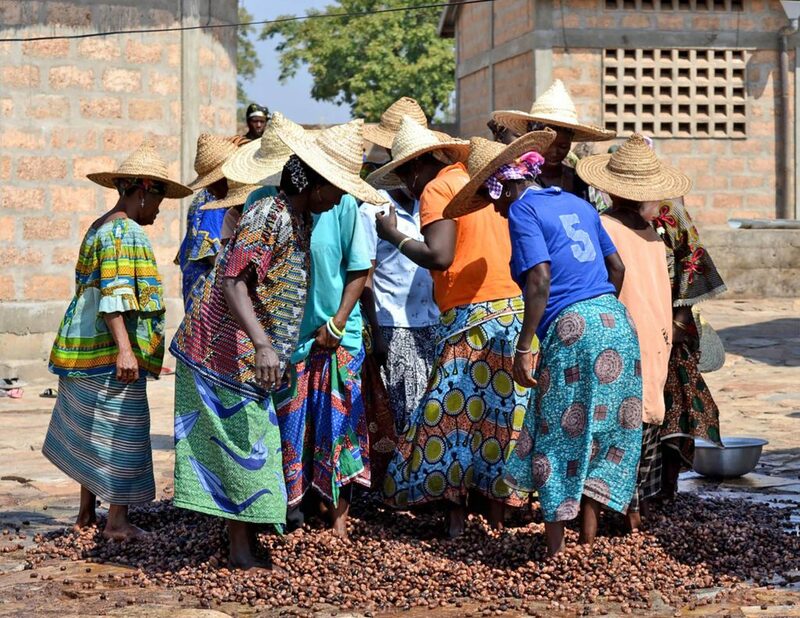 Can Fair Trade Help Address Climate Change? When the fair trade story is told, people often focus on the social and economic benefits fair trade provides producers, which are significant. But the market stability that fair trade certification creates also empowers farmers to invest in farming methods such as regenerative agriculture, agroforestry and tropical reforestation projects that help to slow climate change. In May of 2018, food co-ops across the country partnered with Fair World Project to raise awareness about the inspiring environmental projects many fair trade producers have undertaken in tropical areas all over the world. 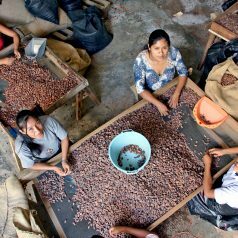 In addition to selling over one million dollars of fair trade certified products, directly benefitting producer communities within our supply chain, collectively we raised $8,000 for Fair World Project’s Grow Ahead initiative, a grassroots effort to fund reforestation projects at Cooperative Norandino in Peru. 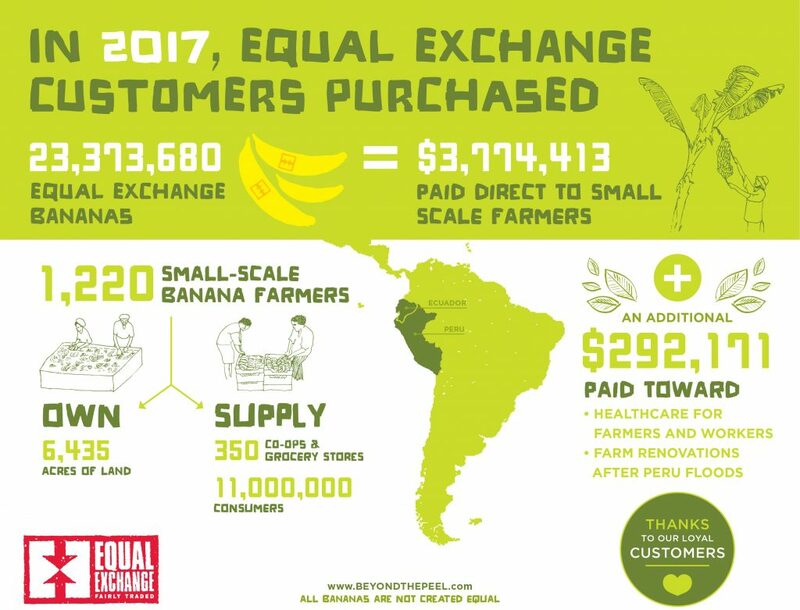 The cooperative is owned by 7,000 small-scale, fair trade and organic cacao, coffee, sugar and fruit farmers in northern Peru who will be using the funds to plant 69,000 native tree seedlings and build two plant nurseries. 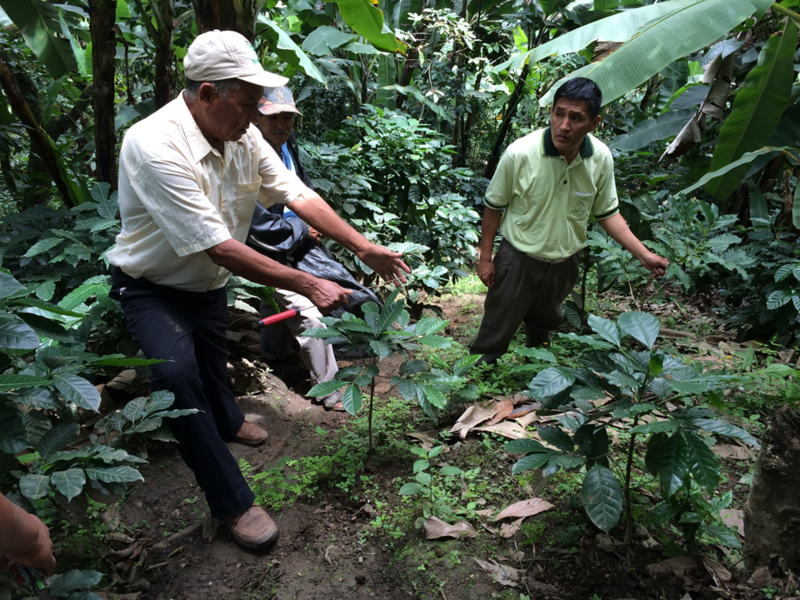 This is part of a larger farmer-led reforestation project covering 136 acres in total. Tropical reforestation remains a powerful and well-known method of drawing carbon dioxide from the atmosphere, making Project Drawdown’s top ten list of potential climate change solutions. Food co-ops continue to pursue and support projects like Cooperative Norandino’s because tropical areas of our world are critical parts of our supply chain, growing an enormous variety of agricultural products from staple grains like rice and quinoa, to widely used tropical oils like palm and coconut, to beloved treats like bananas, coffee, and chocolate. Many of the methods used to farm these products quickly and cheaply have taken an enormous toll on the people, local economies and the environment. We believe that working together, people and businesses can do better. Shea Butter Cooperative. Photo courtesy of Alaffia. Partnering with fair trade companies, farmer and producer cooperatives is one way of ensuring that the people involved throughout our supply chain are properly empowered economically and legally. Because tropical areas are also critical to the protection and improvement of Earth’s atmosphere, food co-ops collectively have chosen to invest in projects that are focused on protecting, growing and sustainably managing tropical rainforests, like the one our colleagues at Cooperative Norandino are pursuing, or our own carbon offset program, Co+op Forest. 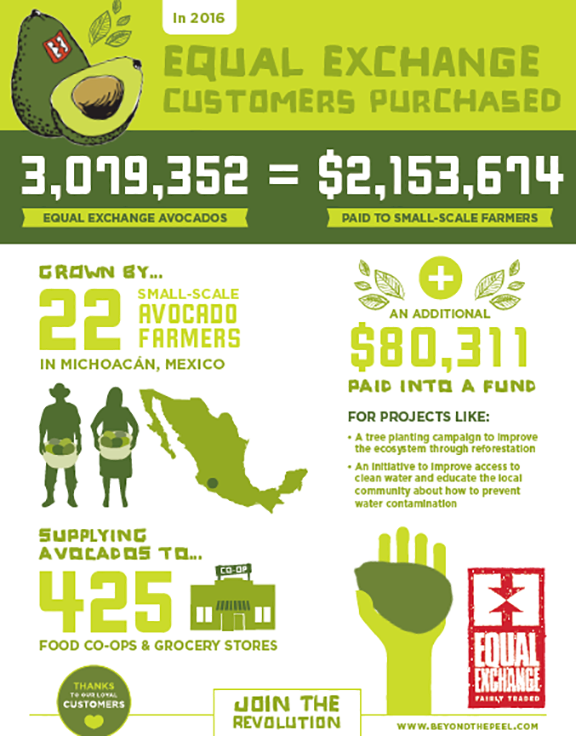 We are honored to partner with inspiring organizations like Fair World Project, Cooperative Norandino and fair trade cooperatives all over the world to bring our customers the very best food the world has to offer in a more sustainable way. 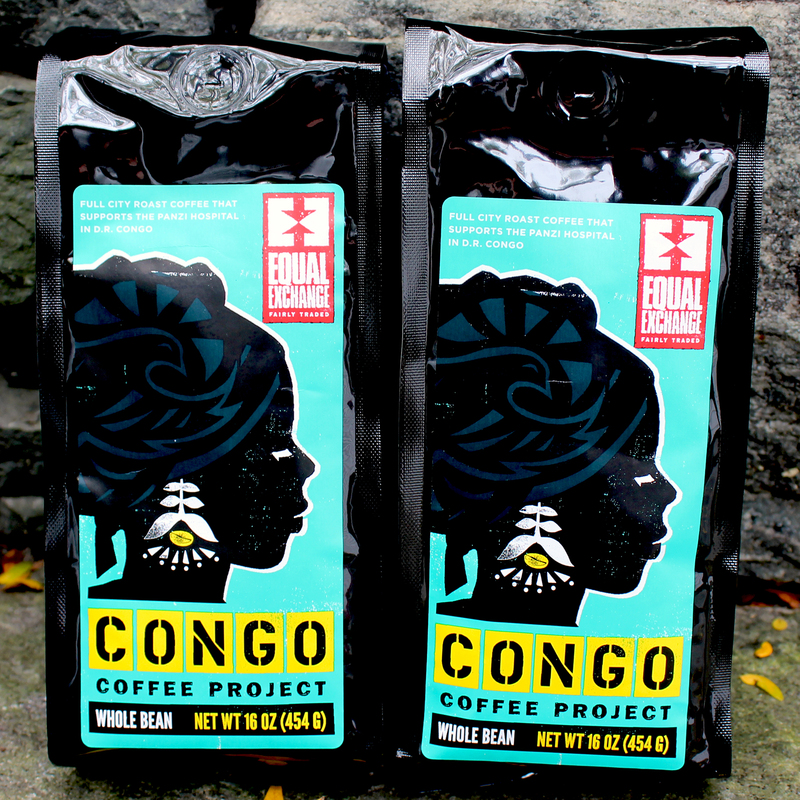 Look for fair trade products when you shop at the co-op, your purchase makes a difference. 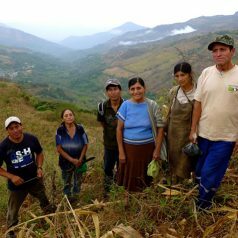 *cover photo shows members of Cooperative Norandino. Photo credit to Fair World Project. Some favorite places include a cupboard in the kitchen, a hook or basket near the front door, tucked between your center console and seat in the car, stashed away in your purse, and anywhere else you could grab them on the go. They say it takes 21 days to make a habit of something – let’s apply this to shopping with reusable bags. With a little determination, remembering your bags when you go shopping will become second nature. You can’t expect for it to become part of your routine overnight, but with persistence, you’ll soon have a system in place that works for you. With the push for major change in our environmental impact, reducing, reusing, and recycling have become businesses of their own. 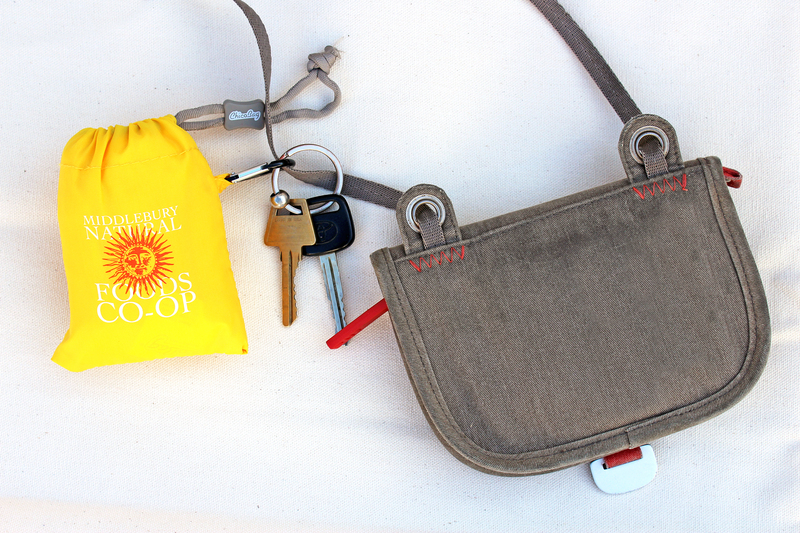 This has given way to all-new ways to make remembering your bags even easier, including bags small enough to attach to your keychain and bags small enough to fit in your purse or pocket. 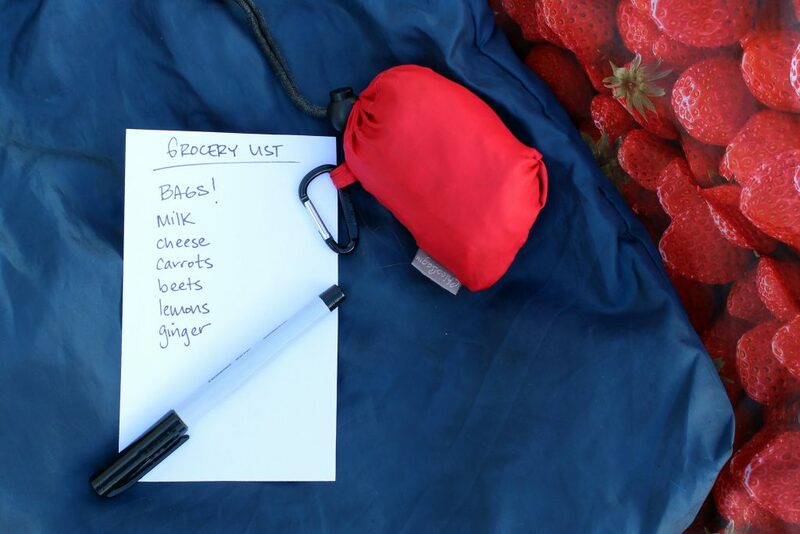 Until your habit is formed, make BAGS the first item you write on your grocery list. Leave yourself notes schedule alerts or reminders on your phone around the time you are planning to leave. Try sewing or knitting or crocheting your own bags. You can even put some of those old t-shirts to good use with this helpful how-to! If your kids go shopping with you, explain why you want to take your special bags, and ask them to be in charge of helping you remember to bring them along. It gives them a job and gives you an opportunity to teach them about minimizing waste and caring for the planet. Almost the trickiest part! The groceries are away and it’s dinner time – don’t forget to put your bags back in their strategic place. Of course, if you forget your shopping bags, another handy option at the Co-op is to grab a box. 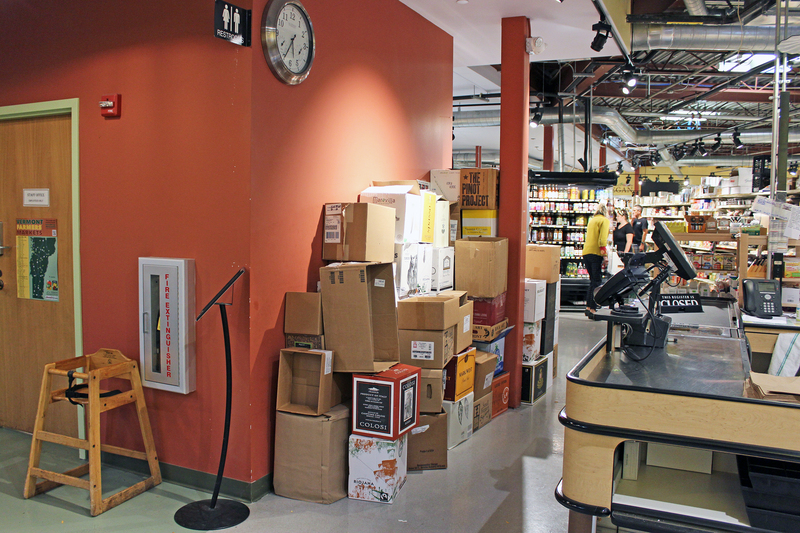 While unpacking orders, we stockpile a supply of boxes that we invite you to repurpose for carrying home your groceries. You’ll find them along the wall near the first register. 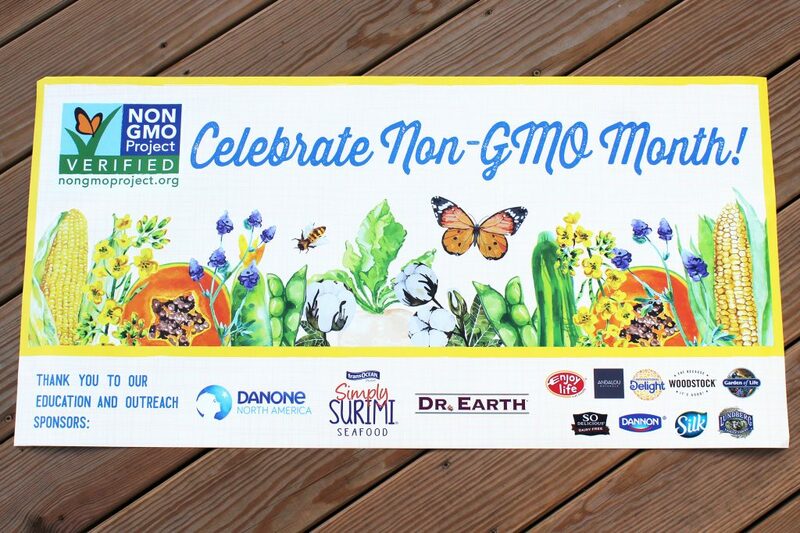 October is Non-GMO Month! We’re grateful to be able to offer an ever-expanding list of hundreds of products that are Non-GMO Verified by the certifying body at the Non-GMO Project. 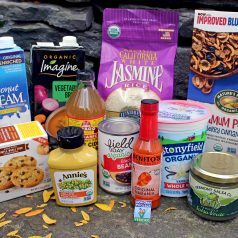 You’ll find many of these products featured in our weekly sale from October 11th – 17th as part of our celebration of Non-GMO Month. The Non-GMO Project Product Verification Program is North America’s only third-party verification for non-GMO food and products. Third-party verification provides the greatest assurance when it comes to product labeling and certifications because it ensures products have been comprehensively evaluated by an independent party for compliance with a standard developed by industry experts and stakeholders. 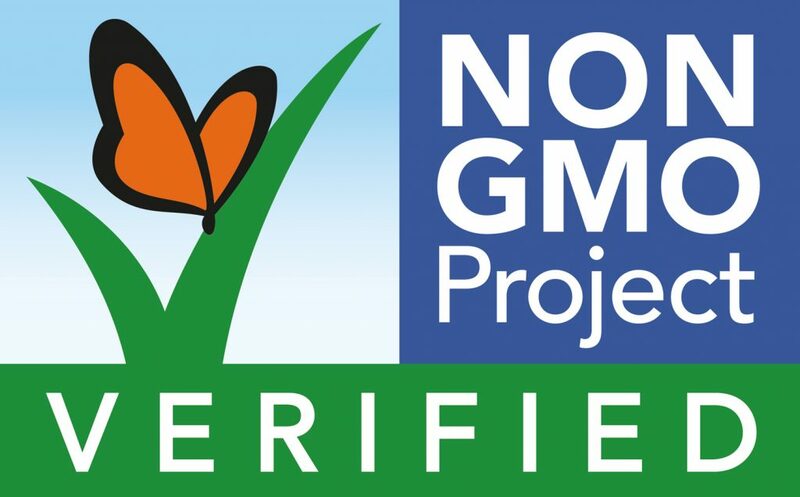 When you’re shopping for non-GMO products at the Co-op, look for the Non-GMO Verified Logo with the butterfly. You can also feel confident that Certified Organic products are GMO-free. At the Non-GMO Project, we believe that by encouraging a non-GMO seed supply, we are supporting the restoration of traditional seed breeding and the right of farmers to save and plant their own seeds and grow varieties of their choice. It’s one of our most important principles. But why do we need to restore these traditional farming practices in the first place? One important reason is that some of agriculture’s biggest corporations use patents to control how farmers grow crops. Patents are a form of intellectual property rights. In most countries, an inventor who creates a novel product, material, or process may apply for a patent by thoroughly describing their invention, usually with the help of a patent lawyer. Once a patent has been awarded, other people cannot make or sell the same invention until the patent expires. A patent is different from a trademark—those protect words, phrases, and symbols that indicate the source of goods and distinguish them from others. It is also different from a copyright—those protect certain forms of creative works and expressed ideas. What Do Patents Have to Do with GMOs? It is legally possible to patent plants in many countries, including the United States and Canada. Initially, this protected the farmers who create new varieties of crops using traditional cross-breeding methods. If you’ve ever had a Cuties clementine orange or a Cotton Candy grape, you’ve eaten patented non-GMO fruit. Even Honeycrisp apples were patented until the patent expired about a decade ago. Since the advent of GMOs—plants, animals, microorganisms or other organisms whose genetic makeup has been modified in a laboratory using genetic engineering—this same law has permitted chemical companies to patent their GMOs. While chemical companies tell consumers and regulators that their GMOs are the same as conventional crops, they simultaneously tell the patent office that their genetically engineered crops are unique enough to deserve a patent. It is important to understand that chemical agriculture companies such as Syngenta and Dow do not simply hold plant patents on the finished crop or its seed, but in many cases they hold utility patents as well. They are able to patent specific genes and the methods for altering those genes. They also hold patents on, for example, the Roundup that goes hand-in-hand with Roundup-ready crops. These corporations, therefore, often possess ownership over the entire process of growing food. The introduction of GMOs expedited the transformation of food from shared resource to patented property. A couple of years ago, a scant seven corporations controlled the majority of the global seed market. Today, following the Dow-Dupont and Bayer-Monsanto mergers, just three companies control about 60 percent of the world’s seed supply. This imbalance of power is even more pronounced in the ownership of high-risk commodity crops. For example, more than 80 percent of the global corn supply is owned by the very biggest chemical companies. This gives those corporations a disproportionate and even dangerous amount of power over how our food is grown, studied, and regulated. But What about Patents on Non-GMO Seeds? Non-GMO seeds can be patented too. The key differences are the number of patents and the degree to which those patents impact large-scale agriculture. Some of the most commonly-patented non-GMO plants are actually flowers, not food. Meanwhile, some GMO-producing corporations hold more than thousands of patents (search here to explore these patents), and they hold them on major commodity crops such as soy and corn. Do we really want to live in a world where we depend on just a couple companies for the whole world’s seed supply? At the Non-GMO Project, we do not. We do, however, want to live in a world where individual farmers have the power to collect, crossbreed, and save their own seeds. What Do Patented GMOs Mean For Farmers? Requires farmers to allow the company to access their land, documents, and sometimes even Internet Service Provider records. These contracts also mean that farmers who violate their agreement—even unintentionally—may face litigation. Monsanto was particularly notorious for suing farmers, even when those farmers did not have an agreement with the company. They’ve even sued individual farm workers just for doing their jobs. These lawsuits are financially disastrous for small farms. Meanwhile, (pre-Bayer) Monsanto has been awarded more than $15 million in judgements against farmers. What Does This Mean For Research? Unfortunately, certain chemical companies have also been known to use their patent ownership to restrict research. Their contracts almost always explicitly forbid farmers to use or allow others to use seeds for research. When a researcher or university wants to conduct their own study, they need to get permission from the patent holder. This allows the same corporations who make the GMOs to control who is allowed to study the GMOs. Sometimes they forbid research, and sometimes they restrict access to seeds and other materials. Even when research is possible, corporations that own the seeds retain the right to control publishing. When chemical companies dictate who can study their products, truly independent research is not possible. What Can Consumers Do to Help? Chemical companies have turned patents and litigation into weapons against farmers big and small. The good news is that as consumers, we have the power to change the way our food is grown and made. By voting with our dollars, we can choose not to support practices that privatize our food supply, hurt small farmers, and restrict the free flow of information. The non-GMO movement is about more than the right to know, it’s also about doing what’s right. If you care about protecting our seed supply against predatory practices and corporate ownership, Look for the Butterfly when you shop.